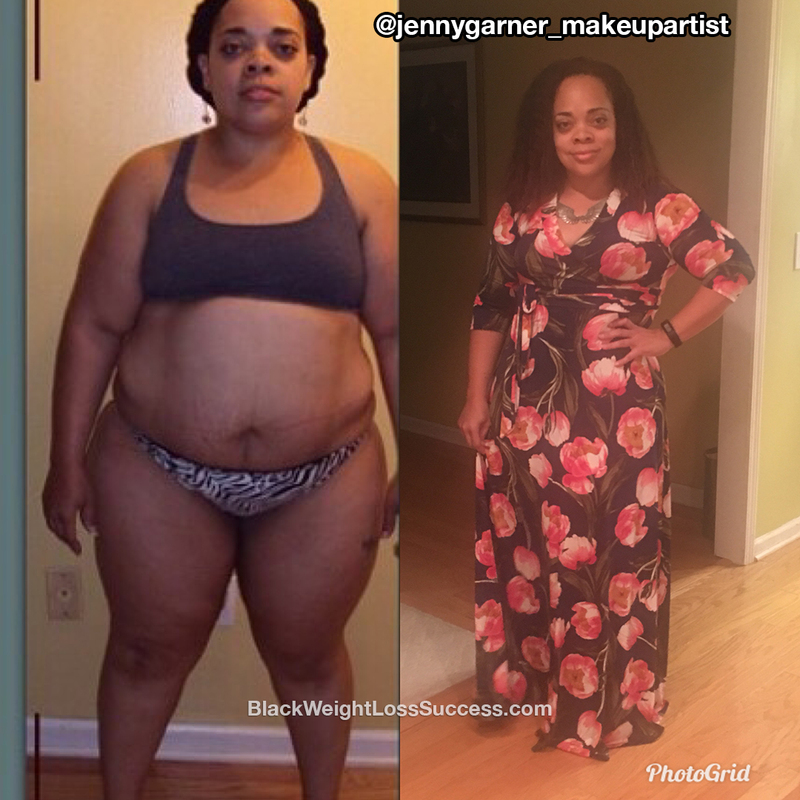 Transformation of the Day: Jenny lost 90 pounds. Initially, her motivation was getting a revenge body and looking good on vacation. She learned that this type of motivation can be short lived when she gained the weight back. By changing her mindset and committing to a healthy lifestyle, this Nashville makeup artist has gotten great results during the past 5 years. Check out her story. My starting weight was 283 pounds and my current weight is 193 pounds. My height is 5’1”. About 6 months after I had my daughter in Dec. 2011, I found myself going through a divorce and dealing with high blood pressure. At first, my motivation was to obtain a revenge body and to look good on a trip to Jamaica in 2013. After the trip was over and the revenge aspect was gone, I no longer had the motivation or mindset to change and I started gaining weight again. I realized that this process had to be a lifestyle, not something I did before my next vacation, to fit into the next dress or for revenge. In order for me to keep the weight off, I had to change my mind. It’s been almost 6 years since I began this path to health and happiness. I have tried lots of eating plans and programs. I found what works best for me is the American Diabetic Diet, even though I am not diabetic. I have had various workout regimes over the last few years. There were times when I was doing two workout a day, 5-6 days a week. I’ve had 4 personal trainers over the past 6 years. Currently, I’ve been developing my own workouts and they vary from day to day. My workouts include HIIT, weight lifting, and of course lots of cardio. So far the biggest lesson has to be love yourself at every step of the process. Being consistent is key. We all have set backs on our weight loss journey, but don’t be defined by the set backs. Instead, be propelled by them. Set backs are nothing more than set ups for the next phase of your journey. Great story.. You’ve inspired me to keep going..